Horsemen and women are reminded effective October 3, that Louisiana has gone to zero tolerance on clenbuterol for Quarter Horses. NEW ORLEANS, LA—SEPTEMBER 13, 2018—The Louisiana State Racing Commission (LSRC) voted unanimously July 16th to go to zero tolerance on clenbuterol for Quarter Horses. Horsemen and women who will be racing in the state this fall are reminded the new rule takes effect on October 3rd—opening day of the 2018 Evangeline Downs Quarter Horse meet in Opelousas.
) The suspension of license for a period of not less than 60 days and not more than six months and/or a fine of not more than $1,500.
) The purse shall be redistributed. The HBPA has been requested to notify its Quarter Horse members of the ban on Clenbuterol and Racing Associations are requested to post notices in all conspicuous places, including but not limited, to Racing Offices, Backstretch Stable Gates, Track Kitchens, Condition Books, Overnight Sheets, etc. 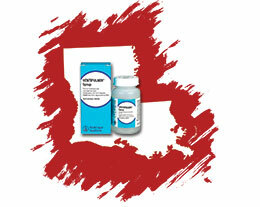 Clenbuterol is the only Food and Drug Administration-approved for treating reversible bronchospasm in horses. The drug is commonly used to treat horses with inflammatory airway disease and recurrent airway obstruction (or heaves). It is also sometimes administered to racehorses during the racing season, however some researchers have questioned the side effects of this routine use. Horse racing jurisdictions across the United States make their own rules about what substances can be lawfully administered to horses competing in races at their tracks. A number of racing commissions across the US have already moved to zero tolerance on clenbuterol.